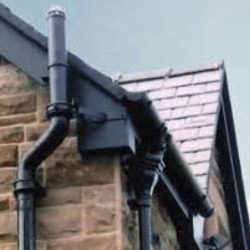 Cast Iron Round Downpipe and Fittings include a variety of ears, hoppers and shoes which can be used to add decoration to any building. 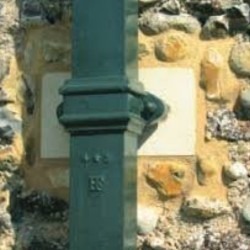 The Cast Iron will usually outlive the building it is used on when it is installed and maintained correctly. 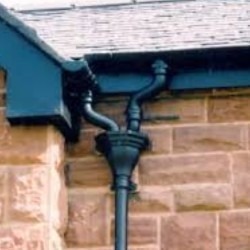 100mm Round Downpipe is mainly used with larger sizes of gutter such as 125mm and 150mm due to the higher flow rate. 100mm Round Downpipe has an internal diameter of exactly 100mm, with an overall with (including ears) of 191mm. The outer width of the pipe is 105mm, not including sockets and ears, and comes in 1.83m (1829mm) lengths.